Wood siding has many different options. In this guide, we’ll focus on styles such as Bevel, Board-and-Batten, and Split Log. There is also a more traditional cedar shingles and shakes siding option explained in the following article. The many styles and options of wood siding are what other, competing materials such as Vinyl, Fiber Cement, Engineered Wood and other synthetic materials routinely mimic. Wood though, has a natural beauty that is very hard to match, and yet, with that comes the need for ongoing maintenance. Two decades ago, wood siding used to be the #1 option for residential siding in America, and historically it has ruled over all others. But, not anymore. According to the 2015 U.S. Census data, Stucco and Vinyl are at the top, while wood has declined to just 3% of all new-single family homes having such cladding. Wood still offers much versatility, decent insulation and installation that doesn’t necessarily require as much expertise as some other siding options. The labor costs for installing wood siding, particularly bevel and board-and-batten planks, is comparatively low (compared to fiber cement siding). A handyman can do the job, as can a do-it-yourselfer. Like all home improvement projects, a professional contractor will handle installation more efficiently and provide warranties on their service. Wood siding averages between $6.50 and $14.00 per sq. ft. installed. Split log would be on the upper portion of this range, board-and-batten on the lower end with bevel in the middle. Lots of factors impact the costs for wood siding which we’ll address below. A typical two bedroom sized home will generally cost between $12,000 and $30,000 for wood siding installed by a professional contractor. That’s for all 3 materials included, which is why the range is so great. If we break down the prices by type of style, it helps understand project costs more acutely. Our guide is to help you understand information you’d likely come across on an estimate for a wood siding project from a contractor. We’ll split it into three hypothetical projects based on the primary styles, along with additional considerations that usually come up with a residential siding project. Please note: these are ballpark estimates based on national average information. We’ve included a few additional items that, as you can see, increase the costs. In our next section, we’ll overview the various factors that are likely to come up with wood siding options. The first consideration usually deals with removal of old siding. Then once removed, it obviously needs to be disposed of. While this adds a few thousand to overall cost, a professional contractor can usually have a crew take care of this in a day and clean up your yard plus dispose of the material. The style of wood is the next factor to consider. This along with type of wood and quality are all factors that will impact cost. 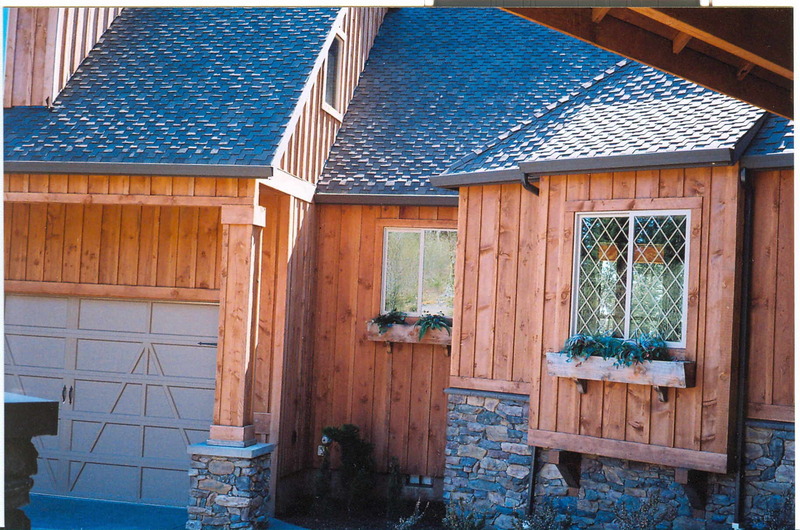 Pine, oak, cedar and redwood are popular wood grains used for residential siding. A contractor is likely to recommend the type of wood depending on the style, but also able to select whatever grain and quality you are willing to pay for. Wood quality deals with whether or not the surface has blemishes or knots. Clear grades are considered premium quality, while some prefer the more authentic look of knotted wood. Sub-options within styles come up in bevel and split logs where you can select among many consideration in how the planks, or logs, are cut. With split log there may be the option to chink the material. In contemporary siding jobs, this is purely stylistic, but mimics how log cabin homes used to be built where the mortar was visible between each log. Usually an acrylic compound is used. This adds a wee bit more protection from water and wind, but does cost more both during installation and then for ongoing maintenance. Board-and-batten is rather simplistic, but that’s generally a good thing. 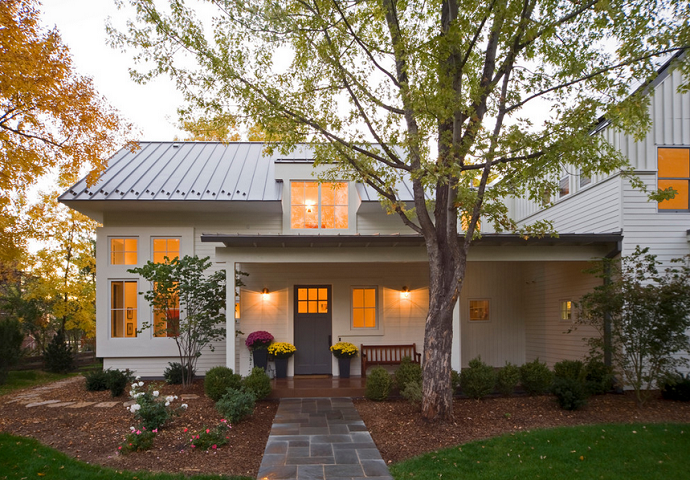 This style has a craftsman appeal to it, and can look fantastic with a standing seam roof. The building materials and builder’s permit aren’t optional and ought to be considered part of the overall cost necessary to complete the job. Sometimes, contractors will include these figures in the “siding cost” and not separate them out as unique line items. If a stain or coat of paint is desired, the contractor doing the siding job may do this or even offer to do it, as is likely the case with split log. This can be rather expensive, but certainly offers a layer of protection to the wood and helps maintain the wood over the long term. Initially, coatings can last 15 years, maybe longer. After that, re-coating every 7 to 12 years will help get the most out of your wood siding to last up to 50 years. The labor charge is the last significant factor. With wood siding, prices are generally low and competitive as it is understood wood siding is the type of job that you can go with DIY or hire a non-certified worker to do the work. We may be biased, but we’d suggest you at least consider getting three to seven quotes from local contractors and what their work offers to you before you entertain going with a less experienced installer. Here we list the pros, cons and chief reason for why to consider wood siding. The Good: Wood siding offers a fairly durable cladding material for residential structures. Especially if properly maintained. The R-Value is very good compared to many of wood’s competitors, which translates to better insulation for the envelop of your home. And because wood is easier to install than most, if not all, other materials it’s costs can be kept down. The Bad: The well-known disadvantage of wood is its requirement for ongoing maintenance. Without such upkeep, wood may last 30 years or less before the weather wears it down, or worse, if animals start to eat away at the material. Better quality wood is an advantage, but also does increase costs. Plus wood is highly flammable, though it may be treated with fire retardants to minimize what would otherwise be kindling. The Oh So Pretty: Beauty is what makes wood a viable choice. Other materials can come close to the the look of wood, but none match it exactly, not even engineered wood. With a fresh coat of clear stain, wood siding is a work of art, or craftsmanship.